Southminster’s Limited Mobility Ministry was founded by the late Ed Emack. It continues to connect people who have a need for medical equipment to make their home more rehab friendly during times of recovery, or when more permanent medical assistance is needed. The Limited Mobility Team of Deacons meets at Southminster House with those who have a need for equipment and also those who wish to donate equipment to the ministry. We are very grateful for those who donate equipment so we may give it to others free of charge and continue with Mr. Emack’s simple mission … to help a friend. We are unable to give or accept any equipment that requires batteries or electricity. We also do not give or accept items that are worn on the body (bandages, compression sleeves, braces, etc.) or any item that delivers medication (intravenous supplies, nebulizers, etc.) We do not accept mattresses or bed frames. If you would like to make an appointment to donate or receive equipment, please contact the Church Office at 412-343-8900. Your information will be given to the Deacon on call who will contact you within 24 hours to arrange to make an appointment. Our Christian faith centers on a relationship with Jesus. Pastoral Care centers on living out that relationship in very real ways … in hospitals … in resident care facilities … in coffee shops … on park benches … wherever people need people to show they care … and need to hear the Good News of Jesus’ love. The Pastoral Care staff of SPC actively engage in caring for the whole church community on a consistent basis … sometimes just doing nothing more than sitting and holding your hand. Our goal is that no one ever feels alone and without hope … we believe God’s healing power extends to all. No one needs to confront tough issues alone … Jesus never leaves us … and the Pastoral Staff wants to walk alongside you wherever that takes us! Please call the Church Office at 412-343-8900 if you are in need of pastoral care. Stephen Ministry extends the reach of pastoral care. Trained lay people develop one-to-one Christian care relationships with individuals who are seeking to spend more time with an active listener during a difficult period in their life. Individuals with gifts of nurture and compassion participate in a 50 hour training program and are commissioned as Stephen Ministers. Stephen Ministers are equipped and ready to enter into confidential relationships that help another through difficult situations in life. Usually, they meet on a weekly basis to talk, to share ideas and possibilities, and to let their care receiver know that they are important in God’s eyes. God often sends someone into our lives to be with us in tough times … Stephen Ministers are always open to be that person … wherever the Spirit leads. Please call the Church Office at 412-343-8900 if you are in need of a Stephen Minister. Southminster Presbyterian Church strongly believes in the power of prayer! Did you know that each and every day we pray for each other? 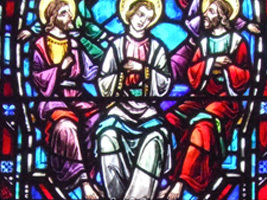 The Board of Deacons has members who are committed to praying for you and with you. God hears our requests and we can share with you in prayer. Simply fill out a Prayer Request Card found in the pew racks in the Sanctuary or on the Crossings table, or call the Church Office at 412-343-8900 and let us know your prayer needs. We minister to each other as we pray for each other. Do you or a member of your family need transportation to the 11:00 a.m. Celebration of Worship at Southminster? If the answer is YES, a ride is available! Simply call the Church Office at 412-343-8900 by Thursday and a member of the Board of Deacons will contact you to coordinate riding you to and from church. We are the family of God at worship and we do not want anyone who wishes to participate be left at home. Come and let us worship God together! Christians recognize the inevitability of death and the emotional stress that is present in this time of loss. There are often many decisions to be made at a time when family members need to comfort and be comforted without undue pressure for practical concerns. 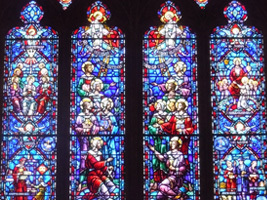 For this reason the Southminster Presbyterian Church provides a way for members to give advance consideration to these matters and to record their personal wishes for procedures to be carried out at the time of their death. The information is kept in confidence and may be reviewed, revised, or withdrawn at any time. Click here to learn more about Funeral Planning. 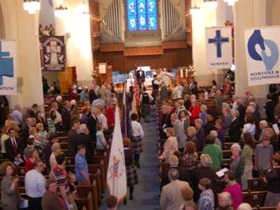 Southminster Presbyterian Church is available for weddings of church members and their immediate families. The wedding booklet is designed to help you to plan your wedding at Southminster Presbyterian Church. Please review the information in the booklet and the wedding application before submitting your application to the church. Please contact Mary Cullison at 412-343-8900 or mary@spchurch.org with any questions. Click here to view the SPC Wedding Planning Booklet. Click here to view and print the SPC Wedding Application.